If you missed the Mcdonalds Free Fry Floaties and Towels earlier this morning here is another shot to score some Free Swag! 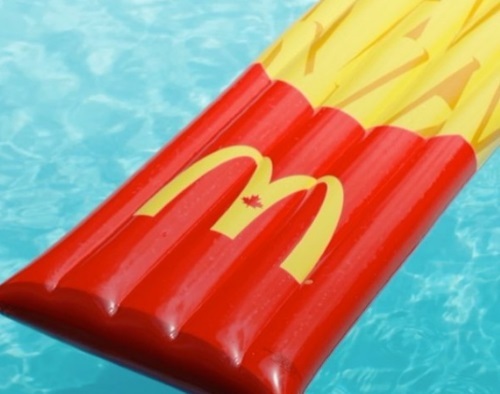 Enter to win 1 of 50 Fry Floaties! The best prize is fries! Tell Mcdonalds on their Instagram post below what you do for the love of fries! Contest closes 11:59pm July 13, 2017.